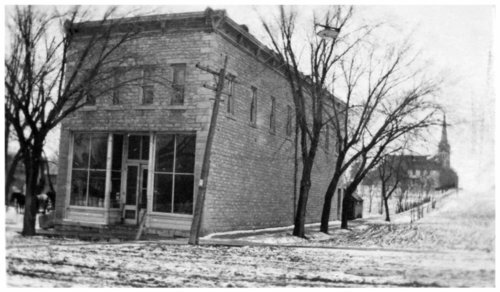 Photograph of the Simon Mercantile Store that was once located at 109 Missouri Avenue in Alma, Kansas. The store offered a wide range of merchandise from food and clothing to farm implements. St. John's Church can be seen in the background.